Ira here. If you’ve heard our show and you want to make stories like the ones we do, there’s good news: There are lots of places where you can learn. 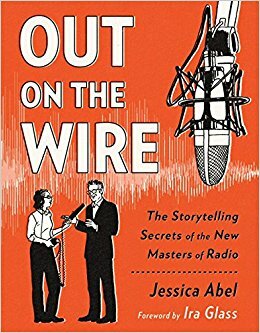 First and foremost, I’d send you to Jessica Abel’s book Out on the Wire: The Storytelling Secrets of the New Masters of Radio. It's the definitive how-to guide for anyone who wants to make narrative journalism – i.e, true stories with scenes and plot and characters like we do on our show. Jessica visited our show, Radiolab, Snap Judgment, The Moth, and others. Some of the sections — like the long section on how to tell whether the story you’re thinking about making is worth making at all — blow my mind, they’re so well done. I’ve probably bought 150 copies for people over the years and can’t recommend it highly enough. If you’re not quite ready for a 240-page book, this 32-page comic book was the first version of the book. We put it out as a little comic book with Jessica back in the 90s. Years later she expanded it into her full guidebook. Especially handy for teachers: You can also get it as a pdf. Also greats like Errol Morris, Studs Terkel, Robert Krulwich, Brooke Gladstone and Dave Isay. Transom has a how-to by our producer Jonathan Menjivar on how to score stories with music like we do on our show. My own “Manifesto” on Transom is here. 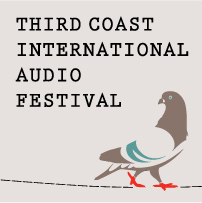 There is tons of audio on the Third Coast Pocket Conference podcast, covering all sorts of things, including many seminars on how to pitch a story to a show and get them to say yes. Nancy Updike on easy approaches to making your writing sharper. Dave Kestenbaum on explaining the world in four minutes. Our fact-checker Christopher Swetala on the fact-checking process for our show. Radio Diaries' Joe Richman on first-person radio stories. Transom's Rob Rosenthal on bringing extra batteries and other essential basics. Jad Abumrad of Radiolab has lots of smart things to say about making decent work. Read his manifesto on Transom. Or listen to him talk about some of his favorite things. And — a personal favorite of mine — the incredible team from the podcast The Daily explains their approach to doing daily news as radio narrative. I’m a super-fan of this show and it was fascinating hearing that they think of their stories the way we think of ours: as narratives, organized around set of plot points. In their case, they scheme those out fully before they sit down with their interviewees. I love these podcasts with Zoe Chace, explaining how she does her political reporting for our show: Zoe on the Longform podcast, Zoe on Columbia Journalism School’s On Assignment podcast. Brian Reed explains S-Town on the Longform podcast. Here's my interview on Longform. Oh hell, here’s the link to all the Longform podcasts. Most of these aren’t about radio narrative but Max Linsky’s a great interviewer and these are some of the best journalists out there, explaining their moves. The HowSound podcast on how to make radio documentaries is especially good for beginners. Rob Rosenthal, who hosts the podcast, may possibly be the best radio narrative instructor in the country (though come to think of it, Gimlet creator Alex Blumberg gives him a run for his money.) Check out Alex’s how-to series on making radio. Note it costs money. I haven’t taken the course but I bet it’s great. I did a Q&A "How I Work" for Lifehacker. Their question "Besides your phone and computer, what gadget can’t you live without and why?” was perplexing because it seemed that everyone they ever interview would have the same answer as me. The book Reality Radio: Telling True Stories in Sound was created by the Center for Documentary Studies, includes essays by lots of producers, including me. The Radio Diaries Teen Reporter Handbook is not just for teens. It’s free and has lots of advice that’ll be useful to any beginning. Ditto The DIY Radio Rookies Toolkit, which includes their own comic book, instructional videos and tip sheets, all free. And, what the hell, why not, here are Jad Abumrad and me talking about radio great Joe Frank – I was his production assistant – who didn’t do journalism but was like a 1970’s era movie auteur making radio narratives that dropped you in the middle of the action and pulled you forward irresistibly. Joe’s archives are all online at his website. These videos were shot by a now-defunct television channel called Current TV, which encouraged amateurs everywhere to shoot their own stories and put them on the air. It was in a series of videos they created, giving tips to beginners. On the internet, I seem to be more famous for something I said in one of those Current TV videos than I am for any of my actual radio work. It’s a quote about beginning to learn a craft and not being as good as you want to become. A bunch of people have now shot videos with the quote. Here’s one, by Daniel Sax. Brian Reed, our senior producer, spoke at The Conference on "The Craft of Storytelling" about the three key elements of a good story: action, reflection, and stakes. Transom worked with videographer Andrew Norton to create the This Is Radio series: video portraits of radio producers talking about their process. This American Life producers record in the field on Marantz PDM 661 digital recorders, with Audio-Technica shotgun microphones (AT835b, AT8035 and AT897). We like shotgun mics because they give you a prettier sound for interviews with less room noise, and when you need to capture the sounds of machines clicking and cows mooing and all the other ambient audio that makes up a radio documentary, you can point at what you're trying to record and isolate it from the surrounding environment a bit. Occasionally in specialized situations, we'll also use a wireless mic, which is a great thing to have but definitely not a necessity for a beginner. I bought my first wireless when I was 33. I'd worked in radio for 14 years without one. It was, no kidding, more expensive than the car I drove at the time, a pro Lectrosonics rig that cost me $1800. We edit and mix the radio show on Mac computers with Pro Tools, using its basic Mbox 2 setup. Our studio mixer these days is a nifty little six-fader Axia broadcast console. In the studio we have Shure KSM-32 mics, which are the great $500 knockoffs of the gorgeous $3400 Neumann U87's you hear on the big NPR news shows. Ours were actually donated to us by Mrs. Shure in the early days of our show. Shure Inc. is located in the Chicago suburbs and we suppose she must've been a fan of WBEZ. Transom also has a tools section that has a bunch of reviews of cheap, good equipment you can use to make radio. They have guides on how to do digital editing and mixing. Our distributor PRX is an idealistic outfit that tries to find ways to bring newcomers into public radio. They have a system for you to get your stories out to stations, and a special project for younger producers called Generation PRX.